A year ago, I read an announcement that in fall 2013 Vanessa Redgrave would be performing as Beatrice in Shakespeare's Much Ado About Nothing at The Old Vic, one of the most well-regarded theaters in London. I don't know how you cram so many wonderful things into one sentence. Thus, well before I decided to move to London for six months, I already knew I wanted to at least visit London to see this performance. 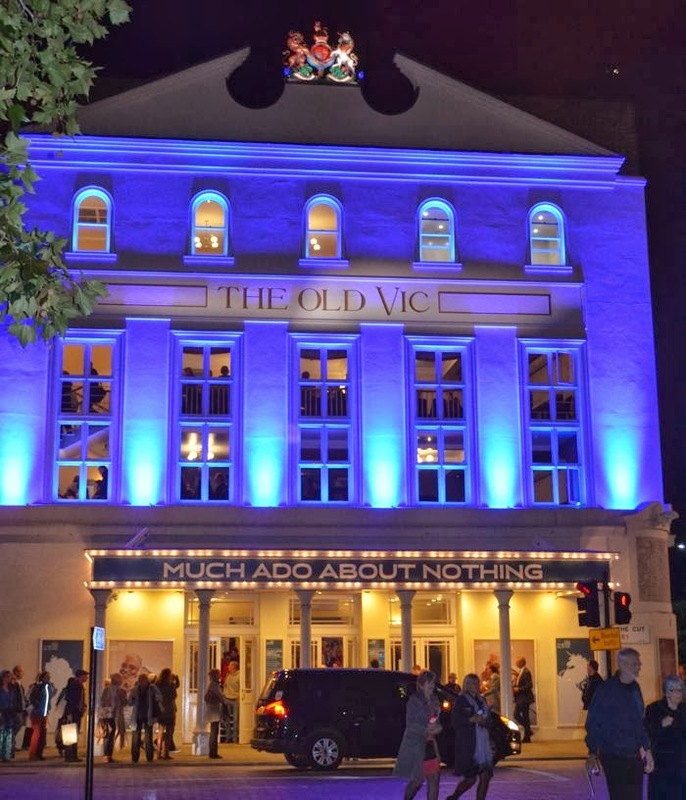 A few nights ago I went to The Old Vic and watched the play. It did, indeed, get bad reviews. Maybe those reviews are correct. But none of them account for one thing: every time Vanessa Redgrave came onto the stage, I caught my breath. And surely I wasn't the only one who had this reaction. It was a strange and wonderful thing to watch what can only be called greatness unfold in front of me. Redgrave was truly something to behold. There is nothing like the magical energy of the theater -- the sense that no matter how familiar you are with Shakespeare's words, that this is the first time you are experiencing them. I know of no other medium that creates that, and Redgrave amped up that magical energy every time she spoke. Hard to imagine a bad review of anything in this magical theater! Sometimes it's just the experience of being present that is so important and awe-inspiring. I saw Richard Burton's last performance of Camelot a zillion years ago, and the mere sound of his voice...well, just say it was unforgettable. You won't forget Redgrave either! I cannot believe you saw Richard Burton at the theater! So incredible! He did so many performances at The Old Vic.